Photo: Grandvalira: 15 Jan 2019. Grandvalira heads into the weekend with more slopes open and a packed schedule of activities. This weekend, Grandvalira aims to fill the resort with a wide range of activities for all audiences. On Sunday 20 January, the Soldeu sector will mark World Snow Day with a series of activities for children. Parallel skiing, giant slalom and mini ski cross sessions will begin at 9:30 a.m., as well as various workshops in the Ski School’s snow garden. Hot chocolate will be served at 11:30 a.m. at Pla d’Espiolets. Grandvalira is now offering night-time sledding on the La Solana/Tubs slope in the Pas de la Casa sector. At the bottom of the La Solana chair lift, visitors will find a marquee with sleds available to rent for €10 (no time limit, until 8 p.m.). Users can enjoy a discounted price of €5 in the final hour (7 p.m.–8 p.m.). The slope, which also offersnight-time skiing, is lit up every Thursday and Friday from 5 p.m. until 8 p.m. to host these two activities. The zipline, located in the Canillo sector, is also open to the public (except on Wednesday 16 January). It is 550 metres long and 40 metres high and riders can zip down at speeds of up to 80 km/h. The most adventurous among you can trek along various routes in snowshoes. Visitors can hire a guide to take them on a journey through the El Tarter or Grau Roig sector. There is a snowshoe route for excursions without a guide in the Canillo sector. Once again this season, the Grandvalira Mountain Club is bringing together skiing and food for the third edition of the Snow Club Gourmet: an initiative for food-loving skiers that offers unique culinary experiences. Next 19 January, the Pi del Migdia restaurant in the El Tarter sector will host a Show Cooking-style dinner by one of the most renowned brands in the international gourmet panorama. In a special “2019 World Cup Finals” edition, the evening will involve personalities from the culinary world like cocktail master Javier de Las Muelas, who will be offering up a concoction designed specially for the occasion. For the first time, this year, the Snow Club Gourmet events are not aimed exclusively at Grandvalira Mountain Club members; anyone can attend (booking required). (Price: €90 for members and €120 for non-members. For more information and bookings: +376 388 784). From next Thursday, weather permitting, the Nomad Food Ratrac will be back in the sectors of Soldeu and El Tarter. This vehicle, transformed into a travelling restaurant, offers culinary options for skiers with the most refined palates. The après-skis of Grandvalira continue to offer a leisure alternative for the end of the ski day. From Wednesday (tomorrow) to Sunday, the terrace in the Encamp Base space at Funicamp, L’Après-Amélie, will offer live performances from its resident DJ, Ángel de Andrés. On Saturday 19 January, the L’Abarset terrace will host DJ UNER, one of the biggest names in the new generation of DJs and producers, who is bringing his experimental, versatile style to El Tarter. On a different note, Grandvalira’s three snowparks (El Tarter Snowpark, Sunrise Xavi by Henrik Harlaut in the Grau Roig sector and Sunset Park Peretol by Henrik Harlaut in the Grau Roig-Peretol sector) offer various modules and lines for all freestyle levels. Grandvalira continues to invest in the only certified mountain guide centre in Andorra included within the skiable domain. The guides accompany visitors along routes suitable for all physical and technical skill levels. You can read a post on how the FIS commended the good job from Soldeu and El Tartar for the World Cup Championships. You may want to read the interview we made last year to Coco Torres, former Head of Operations at Valle de Las Leñas on how to control avalanches in this high -prone avalanche area. 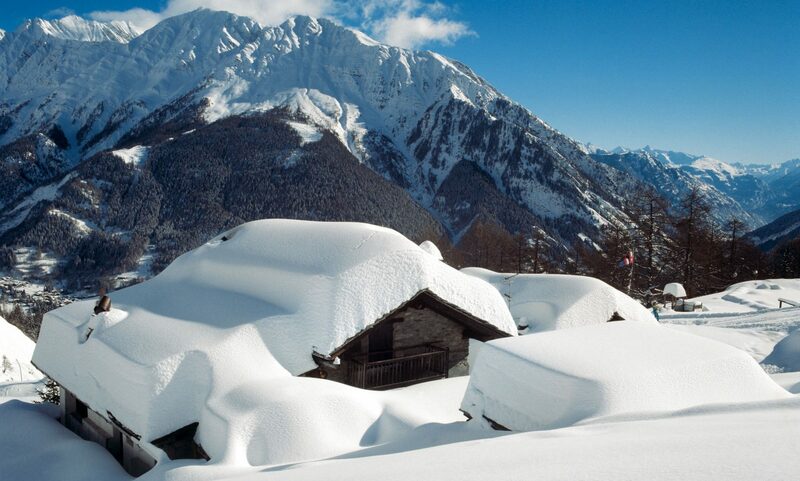 We have already covered many news due to this latest spat of snow storms in Europe, as the hotel that was hit by an avalanche of 300 meters of width in Eastern Switzerland. And two ski patrollers got killed setting avalanche control charges in the French resort of Morillon in the Grand Massif. Featured Image: Photo: Grandvalira: 15 Jan 2019. Grandvalira heads into the weekend with more slopes open and a packed schedule of activities. Next PostNext Jay Peak is officially for sale.